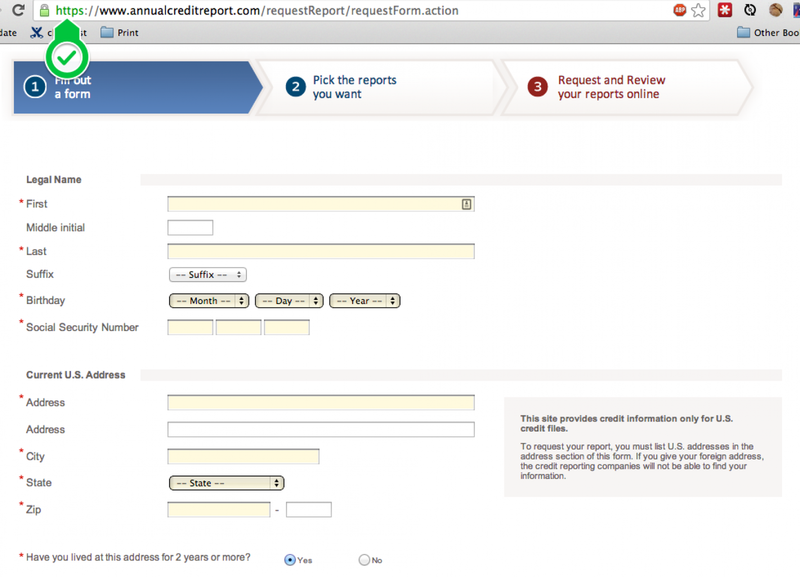 This will take you to a page outlining the three-step process required to request your credit report. This begins the three-step process. The ACR website uses an SSL-encrypted connection to keep your information from being intercepted by third parties. You can confirm that this SSL connection is active by checking for the **https** protocol and padlock. I've highlighted this in the attached screenshot. 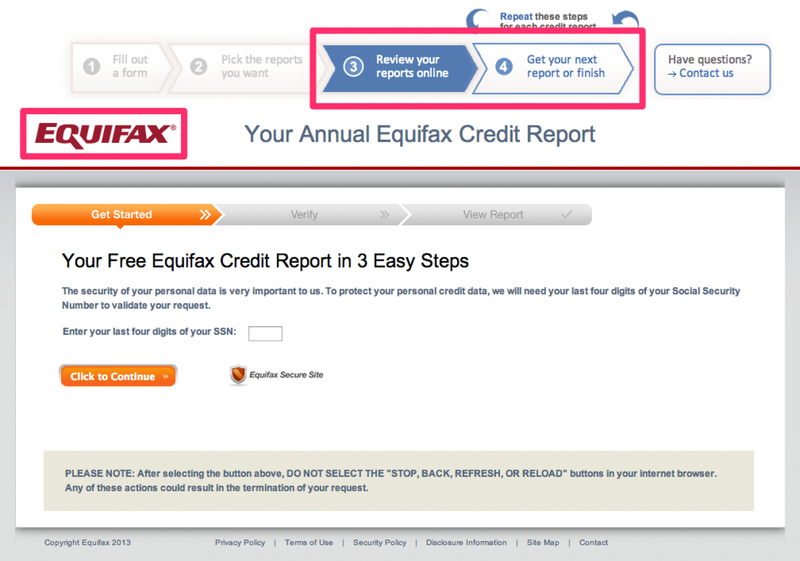 There are three major US credit bureaus: Equifax, Experian and TransUnion. Each maintains a separate account of your "credit record". 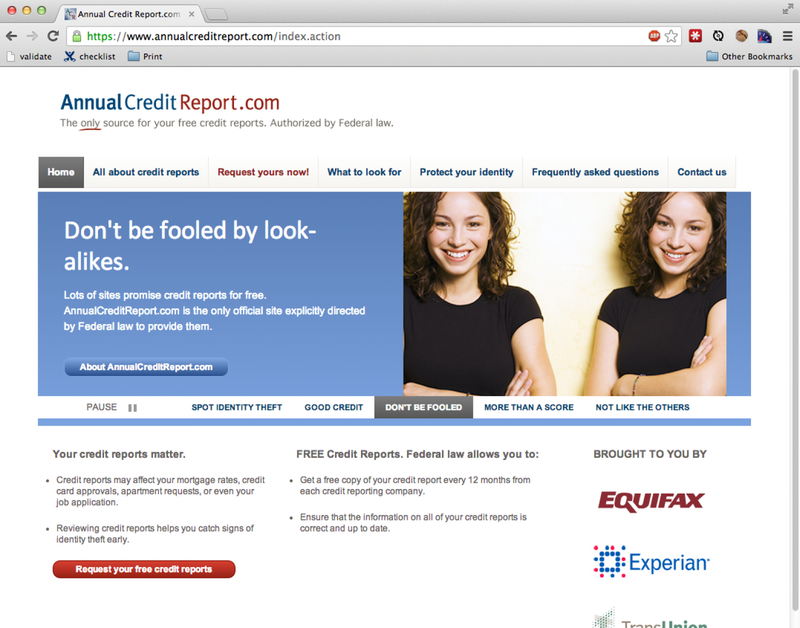 Therefore, certain credit information might appear on one report but not on another. 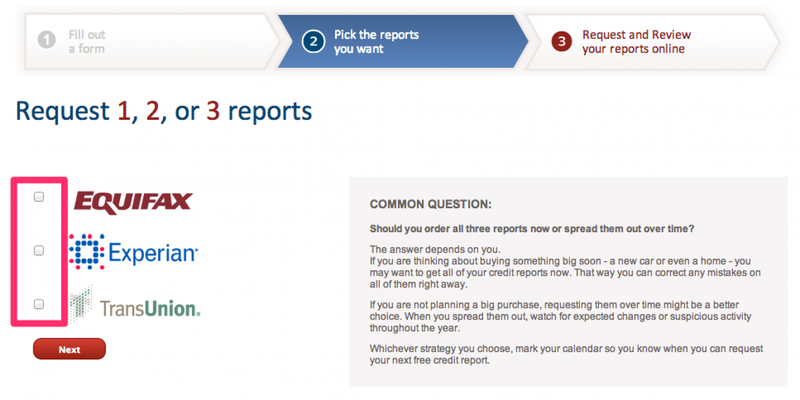 Choose the reports you'd like to receive. 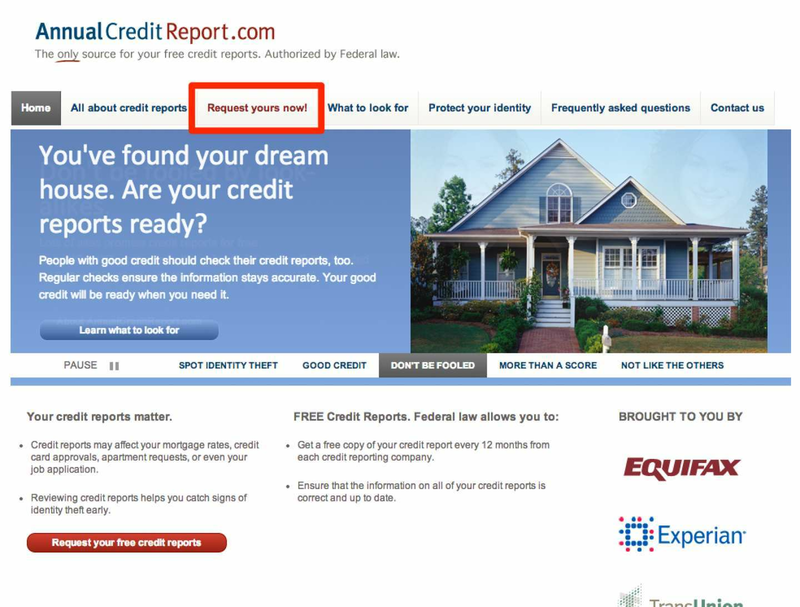 The Fair Credit Reporting Act (FCRA) permits you to receive one of each credit report every 12 months; in other words, you could request an Equifax report today, an Experian report tomorrow, and a TransUnion report the next day. I like to receive all three reports at once, so I'm going to check all three boxes. You should monitor your credit year-round. It may be wise to order only one report today, wait a few months, and then order the next one in order to better monitor your credit. This is up to you. The final two steps will be repeated for each credit bureau from which you've requested a credit report. 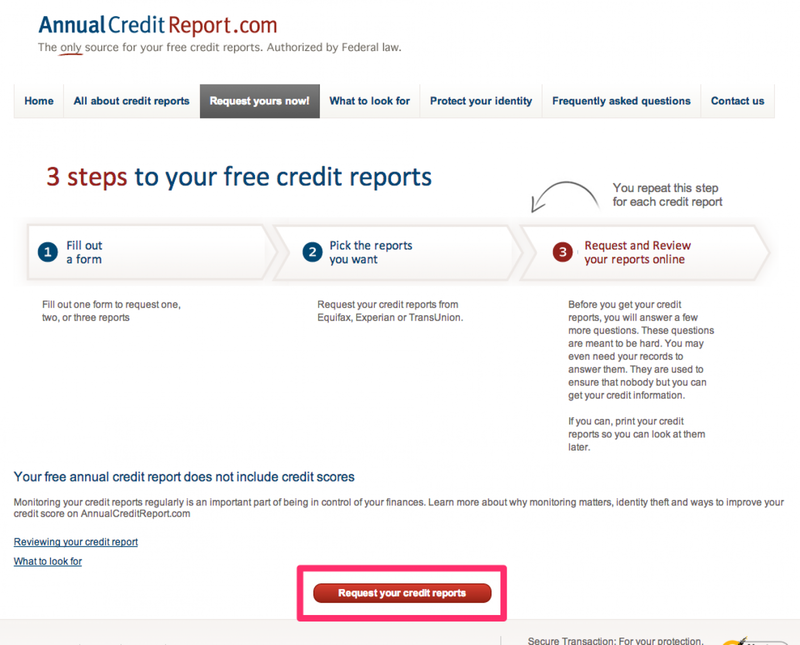 At the end of each bureau's steps, you will have the option to download a PDF of your credit report. I recommend either printing a hard copy or encrypting the downloaded file to prevent cyber-thieves from gaining access to this sensitive information. During the verification process, you will be asked questions about past loans, credit lines, etc. in order to verify your identity.